We just share the basic information as below. We cannot share advanced features and functions. This application permit customer can rate with five statuses: Excellent, Good, Neutral, Bad and really Bad. 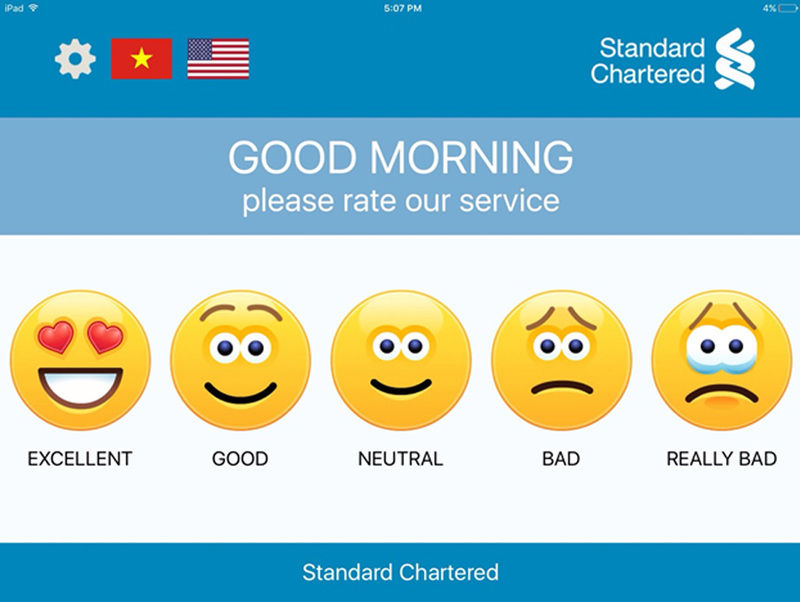 In can customer click on Bad or really bad the mobile application will show input feedback via top-up the screen. The application will store all feedback with the format file and send it to back-end system.